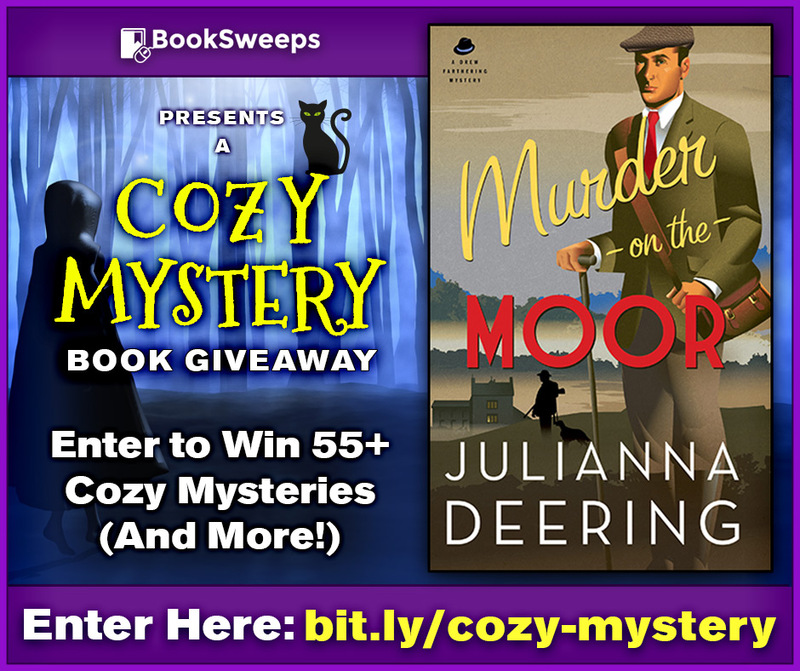 I'm so excited to let you all know that Booksweeps is including my new release, Murder on the Moor in their current giveaway! 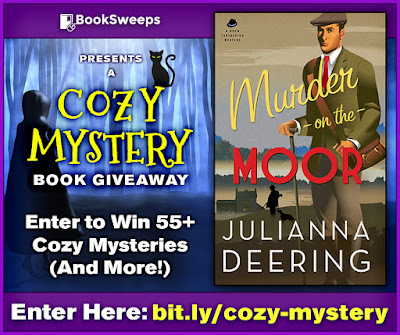 For a limited time, you can enter to win my book plus more than 55 fantastic Cozy Mystery novels from an amazing collection of authors, PLUS A KINDLE FIRE! Two winners will each receive the bundle of 55+ books. One of them will also win the Kindle Fire. PLEASE NOTE: The 55+ books offered in this giveaway were not chosen or endorsed by me or by Bethany House Publishers. I believe there is a mixture of secular and inspirational books included. You can investigate the books being offered on the contest site through the above link. Too funny... I shared this on Google+ and right after I clicked I realized I'd written, MURDER ON THE MOOR by Julianna Moore. Julianna! This is a lot of fun. I'm seeing more and more promotions with kindle giveaways. (Gosh, doesn't everyone have a kindle already?) tee hee! So excited for this giveaway! Congrats!